As Hurricane Norbert made its way north up the Baja California coast, at least one cruise ship altered its itinerary to avoid the storm. Regent Seven Seas Cruises’ Seven Seas Navigator cancelled calls in Cabo San Lucas yesterday and Puerto Vallarta today to remain at sea. 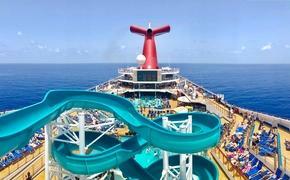 The ship expects to continue its scheduled itinerary by calling at Huatulco on Sunday. 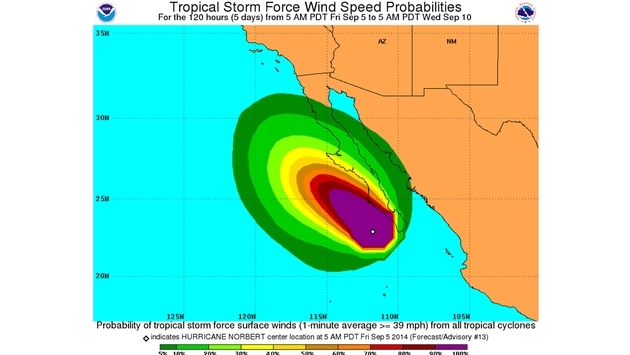 The National Hurricane Center said Norbert was about 140 miles west of Cabo San Lucas with maximum sustained winds of 90 mph. The storm was expected to move parallel to the Pacific Coast through the weekend, and landfall did not appear to be imminent. Although a direct hit was averted, government officials in Cabo closed beaches and schools. The storm could start to weaken on Saturday, the hurricane center said. Los Cabos tourism officials expected the sun to shine again starting on Saturday.